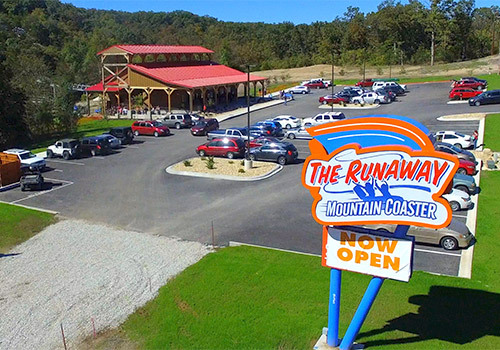 Zoom through the Ozarks on the Runaway Mountain Coaster that lets you control your adventure. 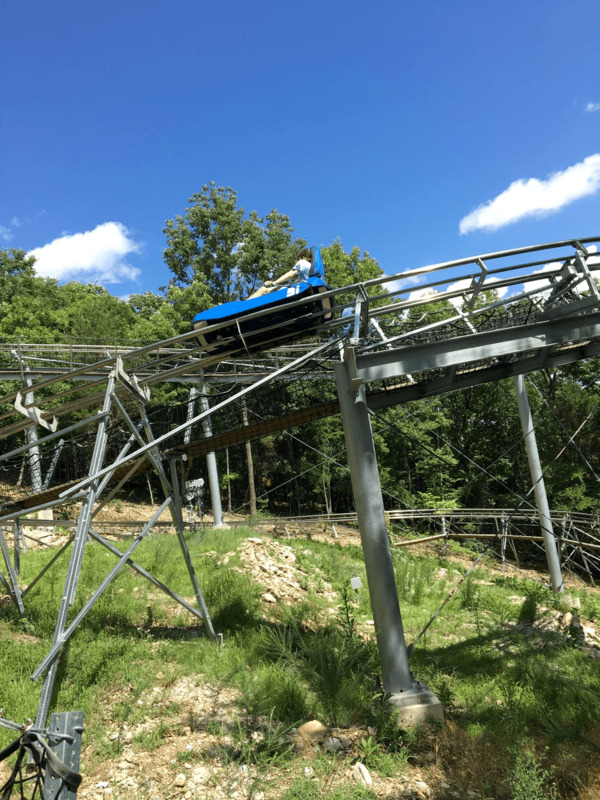 Want a leisurely cruise through the mountains? No problem. 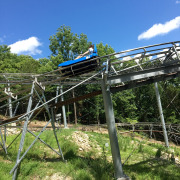 Want to coast down the hills with the wind in your hair? You got it! 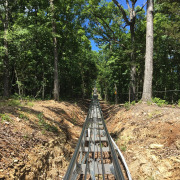 Pick your thrill level and get ready for the coaster experience of a lifetime. 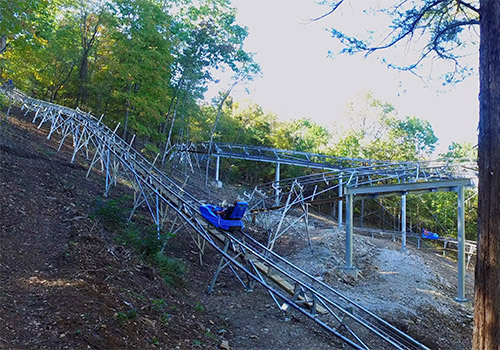 Make lifelong memories on Branson’s most unique mountain coaster. 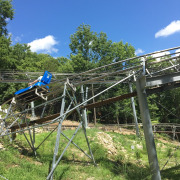 The Runaway Branson Mountain Coaster is the only alpine mountain coaster in Branson and the Ozarks. 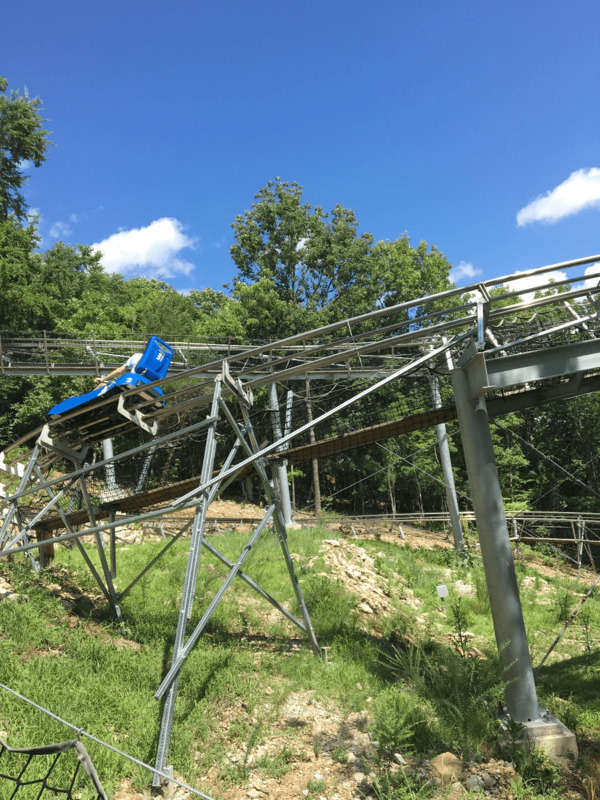 This Alpine coaster was the most talked about thrill ride in 2016 with a 5-star rating on TripAdvisor! 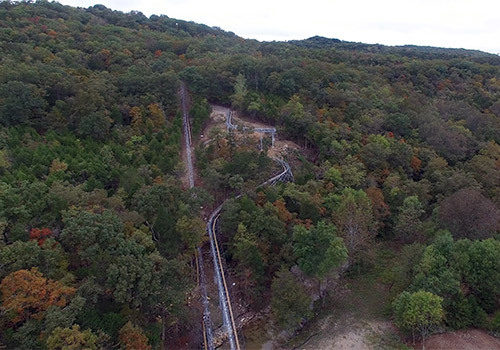 It is also the foundation of the area’s newest outdoor attraction park, the Branson Mountain Adventure Park. 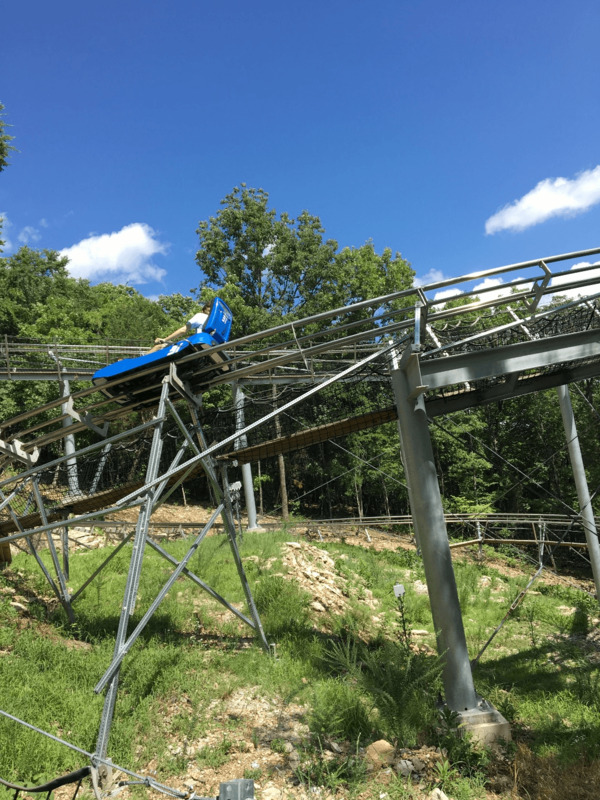 Mountain coasters are a relatively new attraction in America and we’re pleased to bring one of the best to the heart of the Midwest. 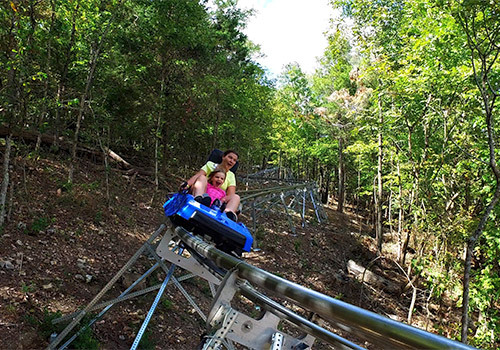 Our Branson Mountain Coaster features more family-friendly thrills in town – more dips, more turns, more zigs and zags, more ups and downs. 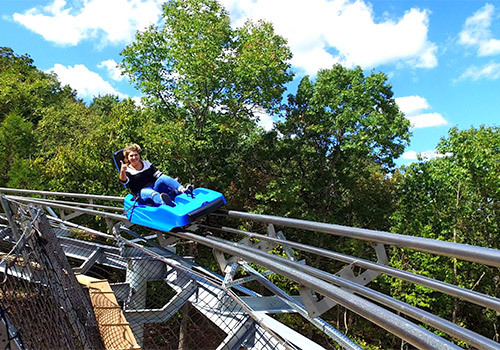 A true American made experience, the Branson Mountain Coaster races down the Ozark hillside weaving in and around trees, through nature and soars high over a creek leaving you breathless and ready to Runaway again! 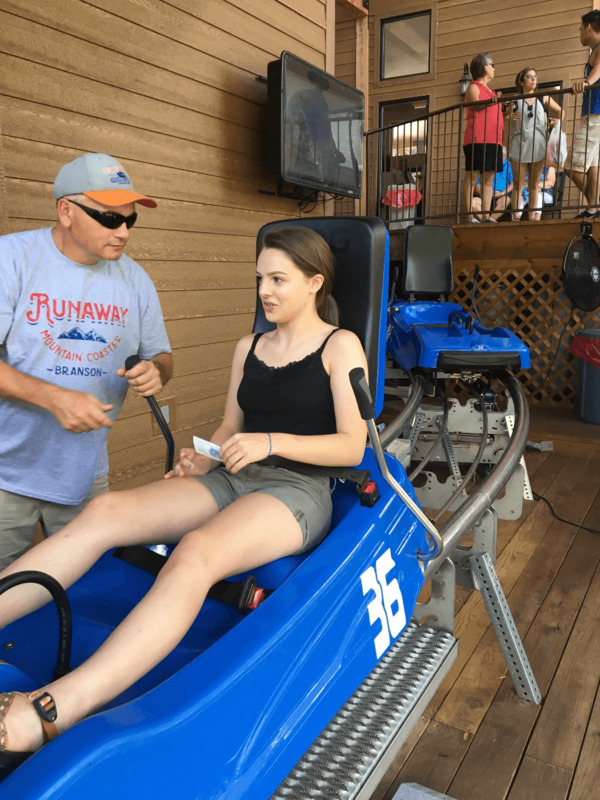 What are the rider height and weight requirements? 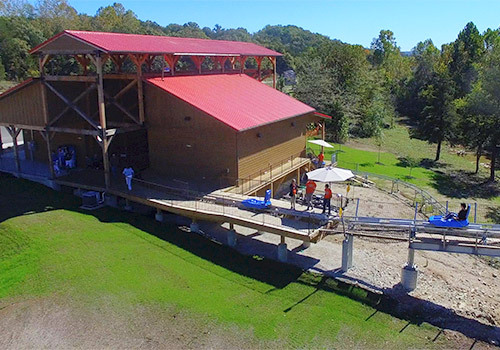 These requirements are strictly enforced for the safety and security of all participants. 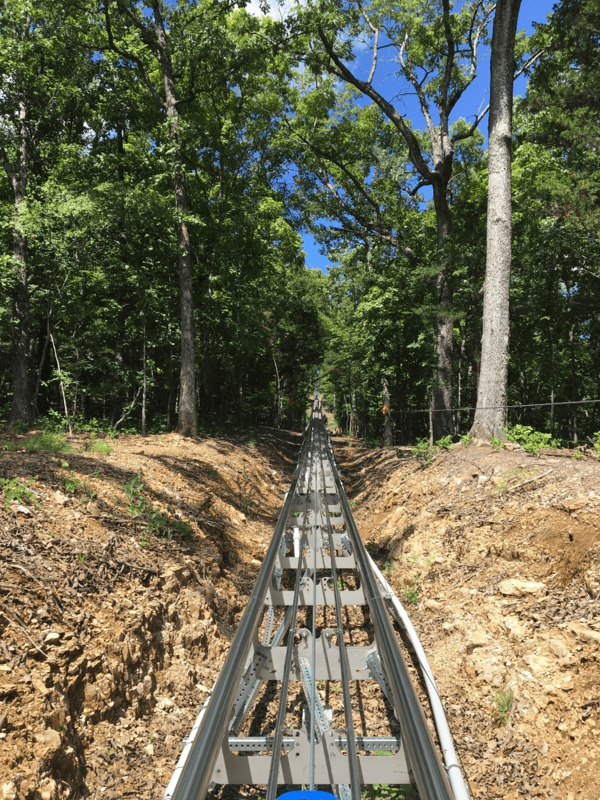 What safety regulations are in place? Drivers who rear end the cart in front of them are responsible for all damages. 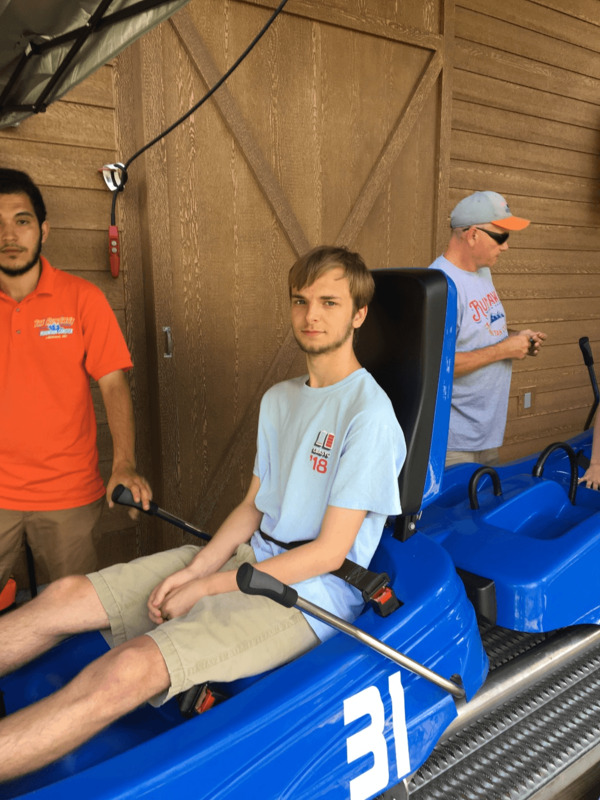 How do I control the cart? 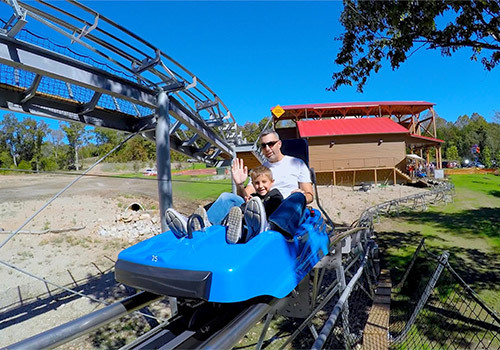 To control the coaster cart, push the lever forward to go and back to brake. Follow all instructions and you’ll be good to go. 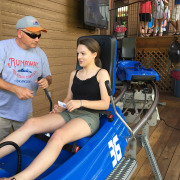 Remember to always keep your hand on the brake lever. 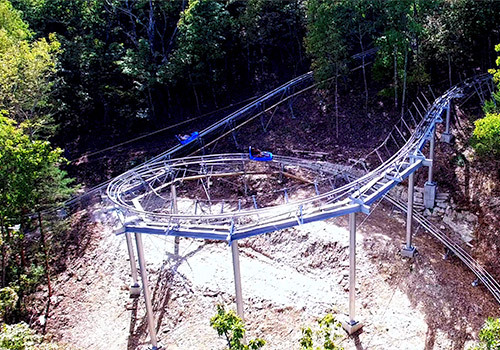 Where is the coaster located? 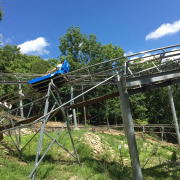 You’ll find the Runaway Mountain Coaster in Branson Mountain Adventure Park located at 935 State Highway 165, Branson, MO 65616. 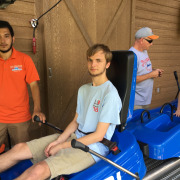 Is this ride appropriate for all ages? 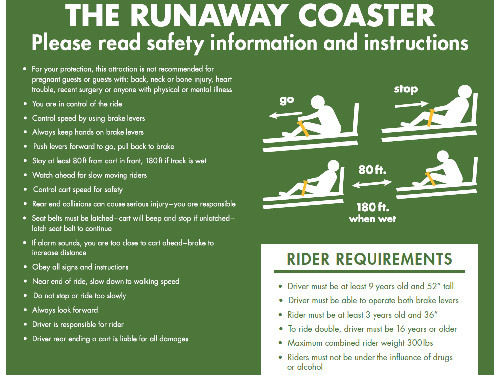 So long as the riders meet the height and weight requirements for the coaster, everyone from ages 3 to 103 can ride!